8261 D. Old Raleigh Rd. Church services at the rodeos. Worship 10:00 a.m. Sundays, children's service also at 10:00 am. as you are, all are welcome! 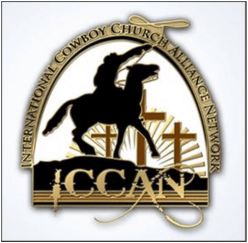 horseman with vision of reaching the cowboy culture with the gospel of Jesus Christ. gospel of Jesus Christ. EVERYONE IS WELCOME! My ministry began in the year of 2009. As I begun my ministry God began to move tremendously. Actually, I was at the age of 13 when all of this started happening. I am a Called Minister of the Lord. I play guitar, I sing His Glorious Praise, and I preach Gods Infallible Word!Meeting Dates & Times. I can meet any desired time. Arena in Taylorsville to the Meadowbrook Saddle Club in Hiddenite in 2010. Ministering to the Horse and Cowboy Community. Thursday nights at 7:00 pm (Dec. - Mar.) 7:30 pm all other months. Shellem Cline is a national Southern Gospel and Christian Country artist that also can provide Christian Comedy. Cline has had 8 top 40 consecutive hits along with 2 number 1 songs. It is the goal of Shellem Cline to spread the gospel of Jesus Christ to all that hears. comes from a long line of famous Native Americans. Dr. Silverheels is a dynamic speaker who spreads Christ's love and healing to all nations. We meet in a stable at the Double "D" Equerstian Center.